EMBARQ – The World Resources Institute Center for Sustainable Transport invites D.C. city officials, planners, transport practitioners, technologists, social media mavens and urban advocates to join us for a discussion about online engagement for sustainable urban mobility in Washington, D.C. This event is scheduled as part of the city’s first Digital Capital Week, a 10-day festival focused on technology, innovation and all things digital in our nation’s capital. This is a forum to share best practices, lessons learned, failure stories and ideas of how to put theory into practice, as it relates to the following over-arching questions: What online tools exist in the D.C. area to make transportation more efficient, user-friendly and sustainable? 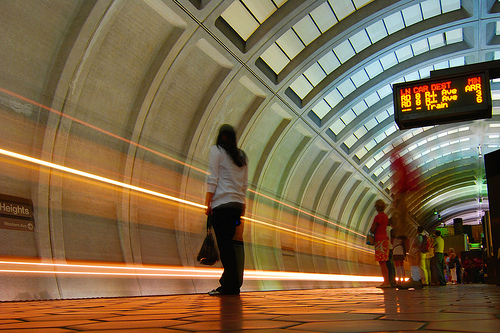 What are some examples of Web-based innovation and collaboration in the D.C. transport sector? How can government, technology and civil society work together to improve the way we move around – by foot, by car, by bike, and by transit – in the nation’s capital? When: June 15, 2010 // 1:30 p.m. – 3:30 p.m.